Steam Cleaning, Carpet “Shampooing”, Carpet Cleaning, which is the correct term and what’s the process? 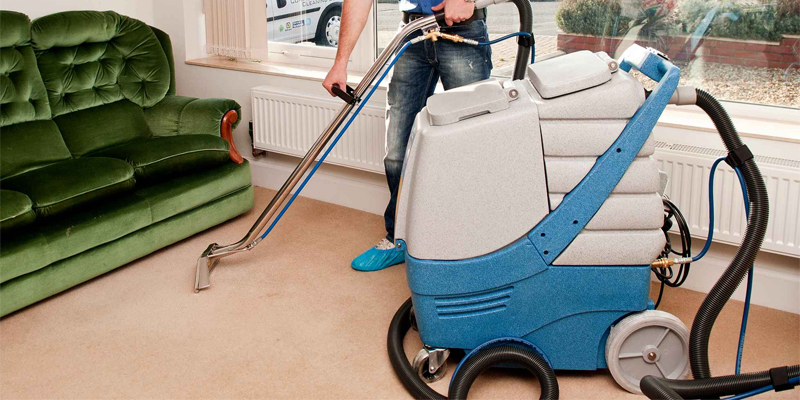 I often hear the terms “steam cleaning” and carpet “shampooing”, by customers and even letting agents, but technically the process used by professional carpet cleaning companies is predominately hot water extraction, a few lone cleaners use a “dry” method, but we’ll come on to that a bit later. Hot water extraction is essentially the process of spaying the carpet, with hot water and carpet cleaning solution at a pressure, typically 100 psi or greater (a kind of Vidal Sassoon shampoo) and then vacuuming up the soiled water; the pressure of the hot water and solution fired into the carpet does the cleaning and the “dirty” water is sucked up into the recovery tank (to be discarded at a later date). Simply, no! And any company that is guaranteeing that they can is well, talking porky pies (lies). Before cleaning of the carpet, then any stains should be treated with the corresponding stain remover, then left to soak for a few minutes and after swabbed with a damp cloth; any remaining stain can then be removed with the carpet extractor. Mud, coffee and tea stains are relatively easy to remove, but stains such as blood, oil, red wine and fizzy soft drinks can be more challenging. Additionally, results will depend on several other variables, such as the length of the pile, age and type of carpet. Does carpet cleaning kill fleas and mites? The general covenant is that while some critters may be eradicated, carpet cleaners cannot guarantee that all infestation of fleas and mites will be permanently terminated; often the eggs and larvae are able to survive the carpet cleaning process. A pest exterminator would be more appropriate than carpet cleaners. Do you recommend dry carpet cleaning? At Atticus Cleaning Services Ltd, we aren’t a huge fan; dry carpet cleaning was initially invented for environments where the carpet is required to dry very quickly, such as hotel lobbies and hospital entrances where there’s a very high footfall, not for cleaning residential homes and commercial offices. Dry carpet cleaning additionally leaves a rather annoying residue on the carpet after the cleaning process, upon completion the residue is required to be vacuumed up. However, like most things in life, whether you prefer hot water extraction or dry carpet cleaning it’s often subjective, and you don’t know until you try. How often should you professionally clean your carpets? At a minimum, you need to professionally clean your carpets once a year. If you have pets, suffer from allergies, or wear shoes indoors then you’ll want to professionally clean your carpets more often. Late spring or autumn are good times to professionally clean your carpets since the weather is typically warm enough that you can open windows to increase the drying process. Of course if you are moving out of a property and you require end of tenancy cleaning then, typically there may be a requirement in your letting contract for the carpets to be professionally cleaned before you hand the keys back to the letting agent.